London’s spread and density make managing its railway network a constant challenge. 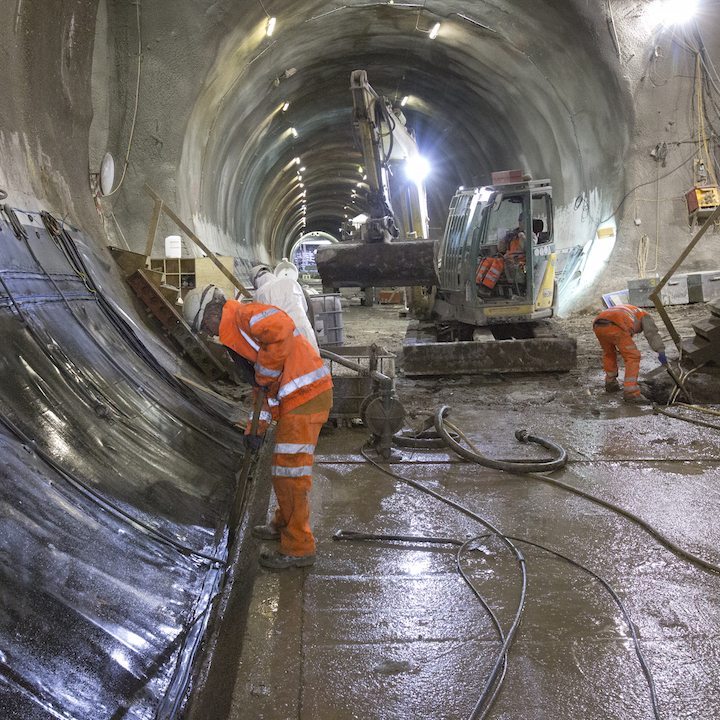 The Crossrail network, currently under construction and set to open in 2018, will cross London from east to west. 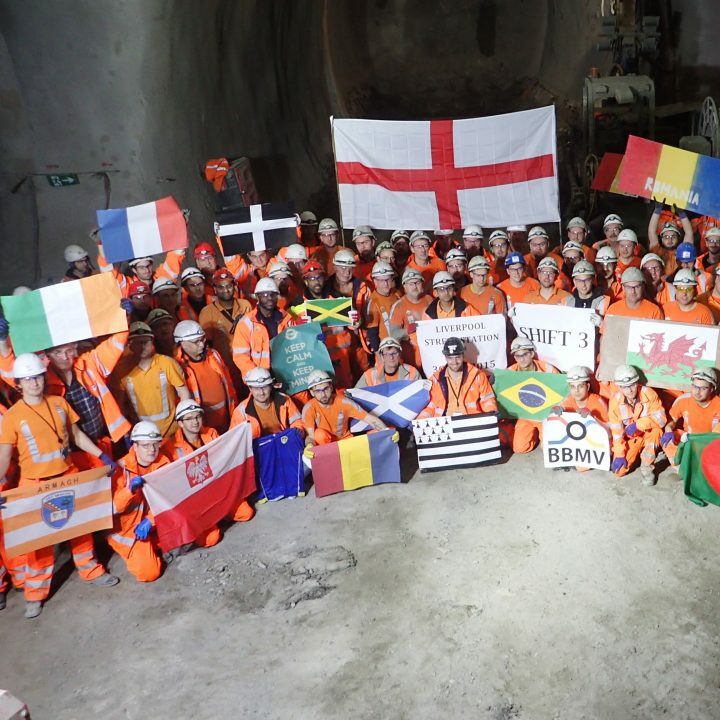 This is one of the largest railway-infrastructure projects in all of Europe. VINCI Construction Grands Projets is actively involved in it as part of a consortium in charge of 2 contracts. The first contract (lot C510) includes the construction of tunnels at Liverpool Street and Whitechapel Stations along with related structures. 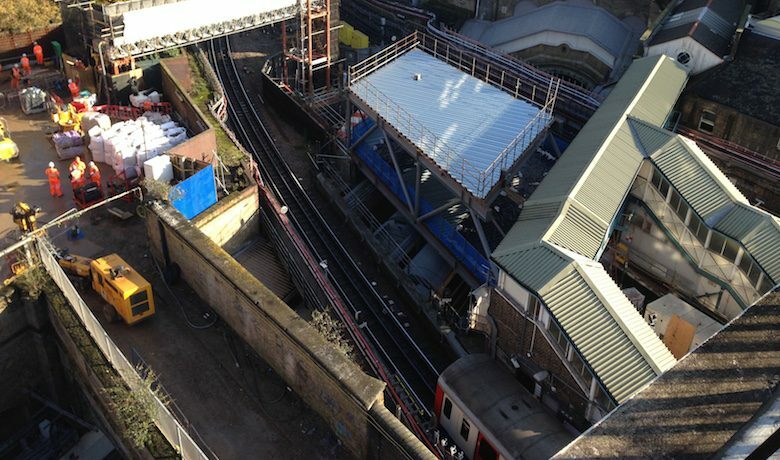 The second contract (lot C512) calls for the partial demolition of Whitechapel Station and construction of a new station and ticket-sale space. It also includes construction of 3 shafts, internal structures, a footbridge and tunnel platforms, along with related electrical, mechanical, and architectural infrastructure. The project consists in implementing a regional express railway network serving London from east to west. The line will start at Maidenhead and Heathrow in the west, cross the centre of London, and reach Shenfield and Abbey Wood in the east, stopping at 37 stations along the way. Named the Elizabeth Line in honour of the Queen, this railway link will connect The City, Canary Wharf, the West End and Heathrow Airport with suburban areas east and west of the capital. This project of pharaonic scope aims to cut travel times by half. Set to launch in 2018, Crossrail will include 21 kilometres of twin-tube tunnels below central London, linking existing rail lines at Paddington to the west and at Stratford and Woolwich to the east. In 2016, it was the largest ongoing public transport project in Europe at more than 100 kilometres in length. On both project contracts (lots C510 and C512), one of the main challenges involved geographical issues. The project, which crosses central London, affects multiple stakeholders and must deal with extremely dense traffic conditions (including residents going to and fro), buildings of historic value, and, of course, the need to minimise noise pollution. Strong emphasis was placed on health and safety on this project, both for personnel and public-road users. The objective is zero accidents both during the construction phase and, later, when the infrastructure is open for service. As a result, the Cambridge Heath Road shaft (lot C512) was designed to provide ventilation as well as an entry and exit point for emergency evacuation procedures. In addition, optimal ventilation conditions were provided to workers to prevent their exposure to dust and gases. A 24/7 operational rescue plan was also implemented to guarantee optimal safety. Special attention was paid to sustainable development and environmental protection. Accordingly, the project aims to reduce waste and energy consumption on site and in its offices. The project has already earned many awards. « Approximately 200 million passagers will use this new partly underground and partly overhead rail line every year, thereby linking an additional 1.5 million people to the City. When completed, Crossrail will help create tens of thousands of new retail spaces (3 million m2 of property for development above and below ground), housing space (57,000 buildings along the rail line), and direct and indirect employment (55,000 full-time equivalent positions) ». Andrew Wolstenholme, Chief Executive, Crossrail. 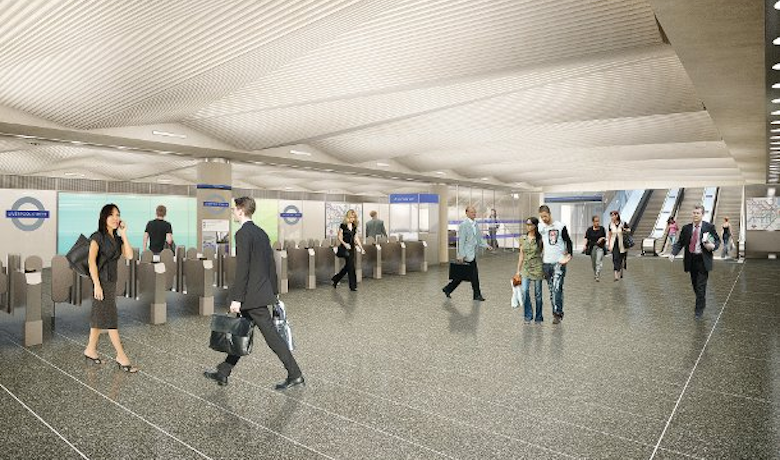 The Crossrail project will provide London with numerous benefits. First, this new infrastructure will help develop the financial centre (The City), improve rail access, and relieve the London Underground system. The project will drive economic growth in London. The number of passengers who will use Crossrail every year is estimated at 200 million, which will increase the capital’s rail capacity by 10%. 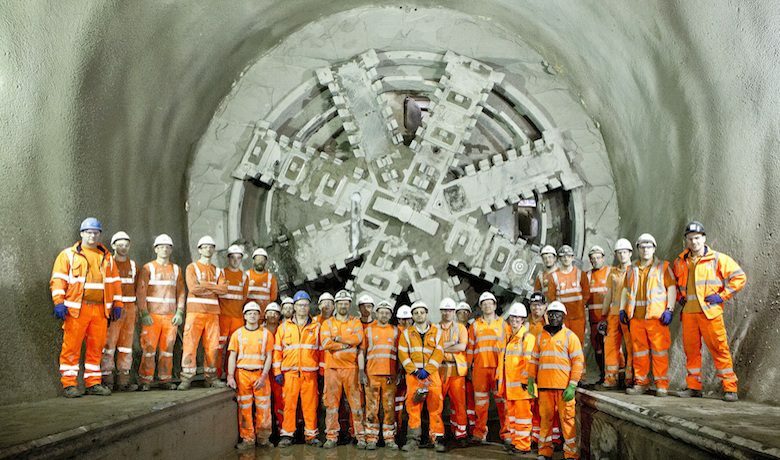 Crossrail will connect London to outlying areas in a mere 45 minutes instead of the hour-and-a-half journey that is currently required. This project alone has boosted the public transport industry in Britain and created multiple job opportunities. 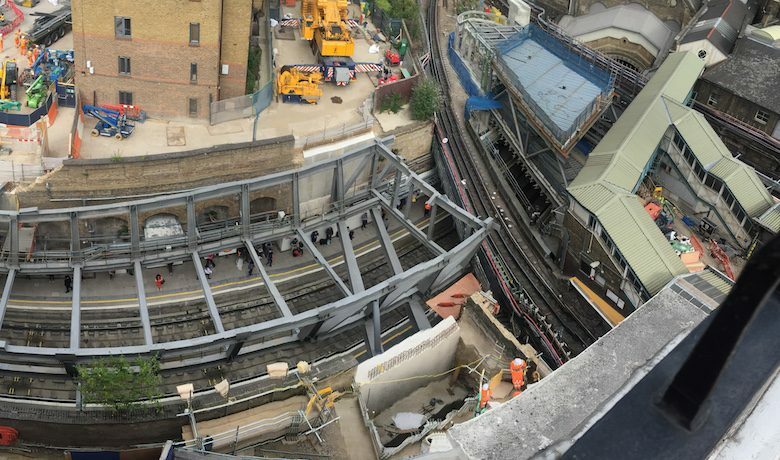 The Government has evaluated the benefits to the British economy provided by Crossrail at £42,000 million.